We all know that playing with dogs is fun, but what we don’t often talk about is how important it is to their overall well-being. Play provides cognitive, physical and social benefits for dogs – and it’s a great way to relieve stress. 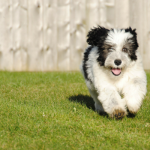 Here’s 5 reasons why play is important for dogs. Tip: If you’re looking for more games and ways to play with your dog be sure to check out 33 ways to keep your dog busy indoors & 26 boredom busters for dogs. We’ve all heard that a good dog is a tired dog, and there’s certainly some truth to that. Dogs need physical exercise each day, and if those needs aren’t met they can get into trouble by developing destructive habits (such as excessive chewing) to pass the time. If you’re having trouble giving your dog enough exercise each day you can supplement their routine with some playtime at home. Play is a relatively easy way to fit in some more physical exercise for your dog each day. Games like tug, fetch and frisbee are physically tiring for dogs, and by adding in a few quick play sessions each day you’ll create a routine that provides your dog with plenty of exercise. One of the best ways to strengthen the bond you have with your dog is to spend quality time together – and playing together is a great example. Not many mammals play well into adulthood, but humans and dogs do. And that playfulness trait that we share with our dogs is part of what makes the relationships we have with them so special; it’s hard not to form a deep bond when you can play and have fun together. Researchers believe that playfulness in dogs was a trait that was selected during domestication, and that it’s one of the big factors when it comes to forming emotionally based bonds with our dogs. So if you’re looking for a relatively simple (and fun) way to strengthen the bond you have with your dog add in some more playtime. Another reason why play is important for dogs is that it provides mental exercise. Mentally stimulating activities (often referred to as brain games) are a fun way to enrich our dogs lives by giving them something meaningful to do. In addition to physical exercise I like adding in a few quick mentally stimulating games into my dogs daily routine. And because these activities alleviate boredom they decrease the likelihood of our dogs developing behavioral issues such as excessive barking or chewing. Some of my favorite brain games for dogs include nose work games, puzzle toys, snuffle mats, and stuffed Kongs. They’re easy to play, and best of all they’re a simple way to keep dogs focused, active and entertained throughout the day. Playing with dogs is fun, but it’s also a great way to work on some basic training and improving manners. 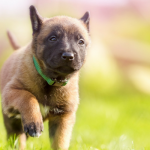 Playtime is one of the ways puppies start learning basic manners right from the beginning; if they play too rough they’ll likely get a nip from their littermate or mother, or they might stop the game altogether. So how can we continue that trend of using play to help train our dogs? By engaging in interactive games with our dogs. Take the tug of war game for example; it’s a fun game by itself, but it also helps teach your dog how to control their impulses aka how to be gentle when it comes to using their mouth. Our dogs are always observing us, so when we engage in play they’re learning social cues from us. 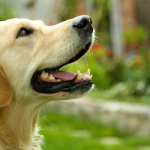 One of the biggest benefits of play for dogs is that it relieves boredom and keeps them busy. It can be a challenge to keep our dogs occupied all day, and when dogs get bored they’ll come up with their own ways to entertain themselves — and that often involves undesirable behaviors such as excessive barking. By playing with your dog a few times a day you can decrease the likelihood of them developing destructive habits. 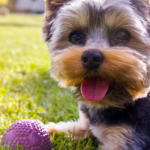 When you add in some more playtime to your dog’s routine you’re giving them something meaningful to do, and preventing them from having to come up with ways to entertain themselves that might involve chewing up your shoes. What Are Your Favorite Games to Play With Your Dog? What games do you like playing with your dog? 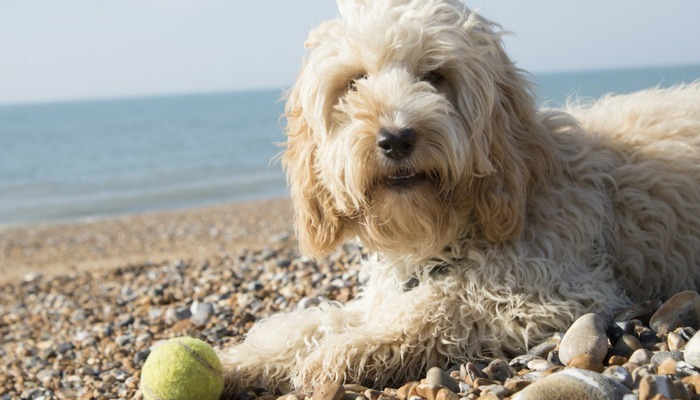 Does your dog seem more relaxed and chilled out after playtime? What games does your dog enjoy most? These are all great reason to incorporate play into your dog’s life. I love the bonding and mental stimulation it gives my Husky, Icy. For my little one Phoebe, the bonding is so important. Phoebe loves to play fetch with her bunny and other stuffed toys, it’s her favorite play activity! Icy is great with puzzle toys and fetch with one of her many squeeky ball toys. We also love hiking all of us together as a family, it’s great bonding for us and for both of them together. My dog is about 5 years in age now, and she doesn’t seem to like any of the toys that she used to love. She prefers a good run in the park, after which she will be totally flat! Being a first time puppy mom, I was unaware of a lot of the great points you have brought up here. Working and going to school makes it hard for me to find the time to incorporate play into my schedule. After reading this I will have to make playtime a bigger part of the relationship Prince and I have. Thanks so much for sharing your post is us, and I look forward to reading more post for you!! I wish I could play with my puppy 100 percent of the time! She’s always so full of energy, but sadly work gets in the way of playtime a lot!